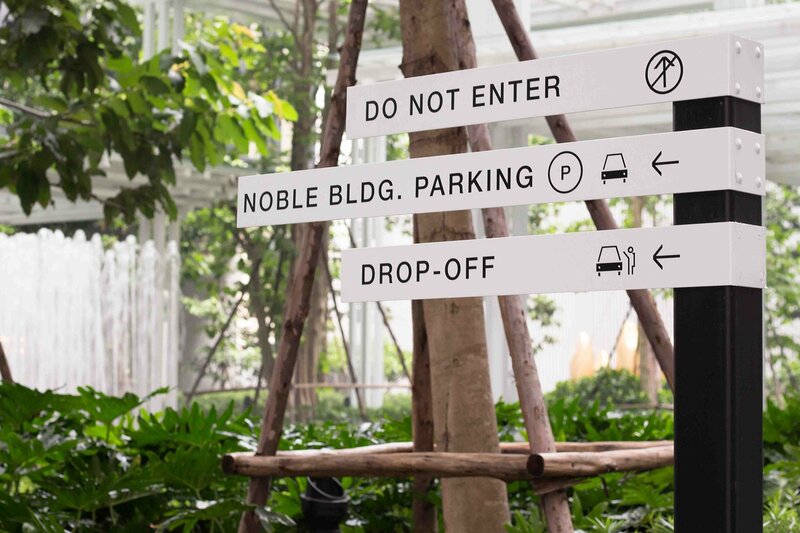 Built around the concept of “Future Living”, Noble Ploenchit is exceptionally designed under the philosophy ‘less is more.’ It utilizes simple lines to create beautiful soothing shade within the complex. 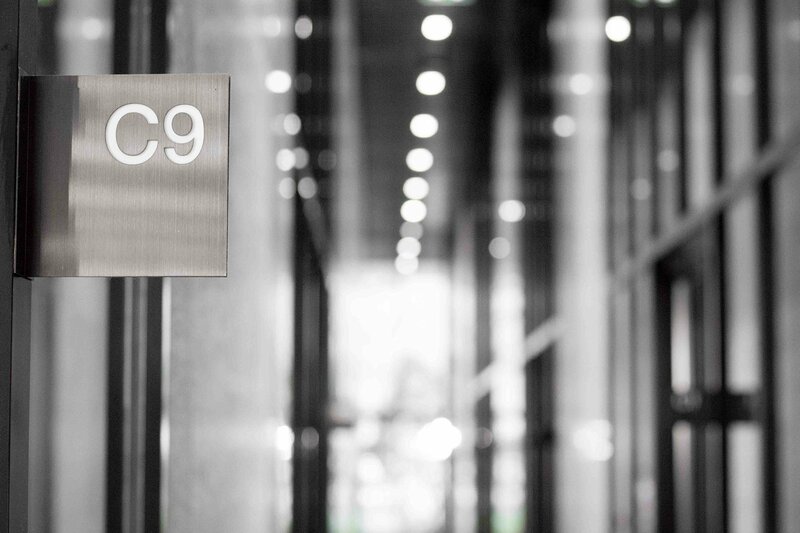 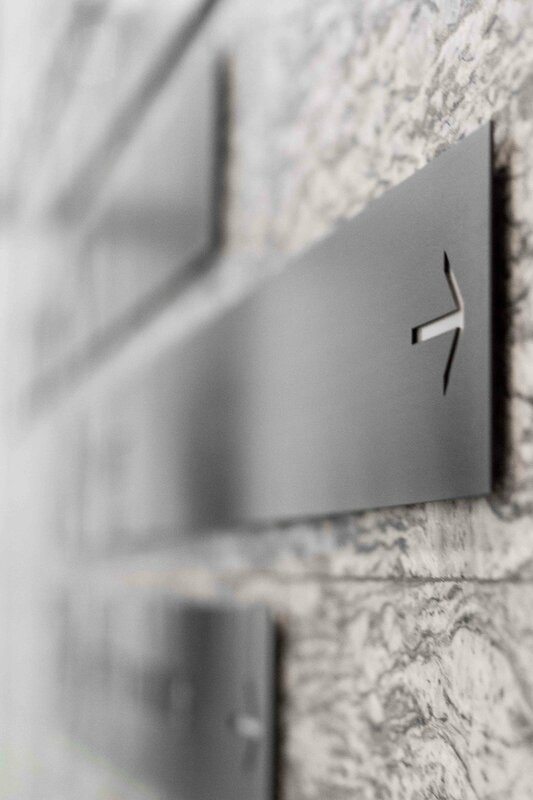 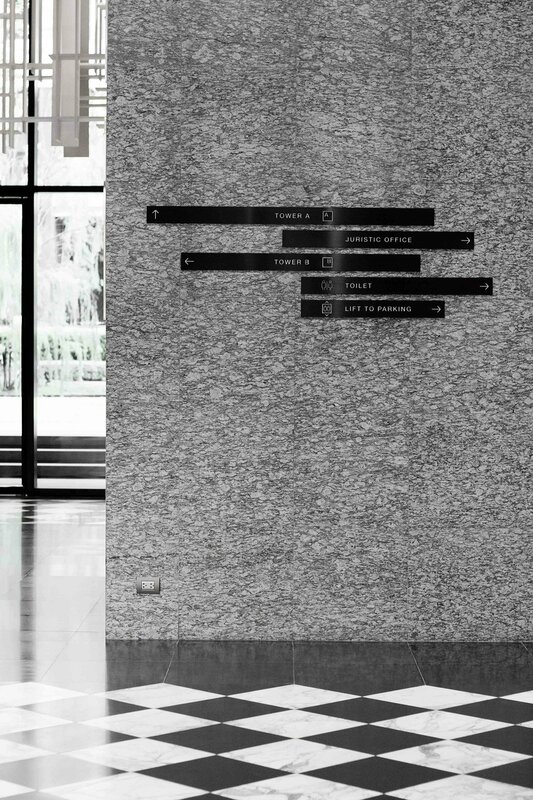 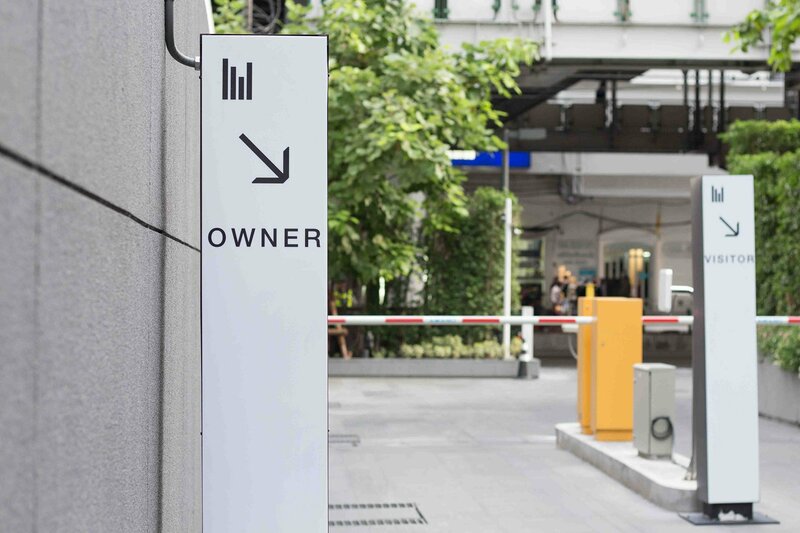 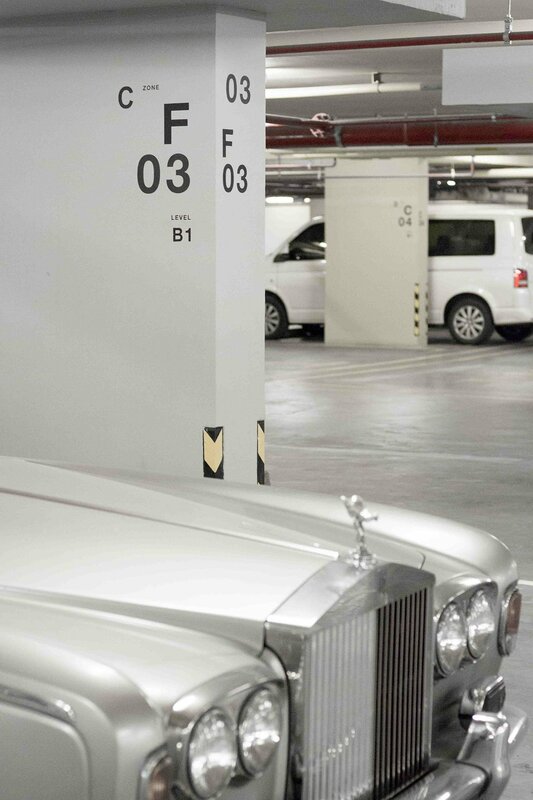 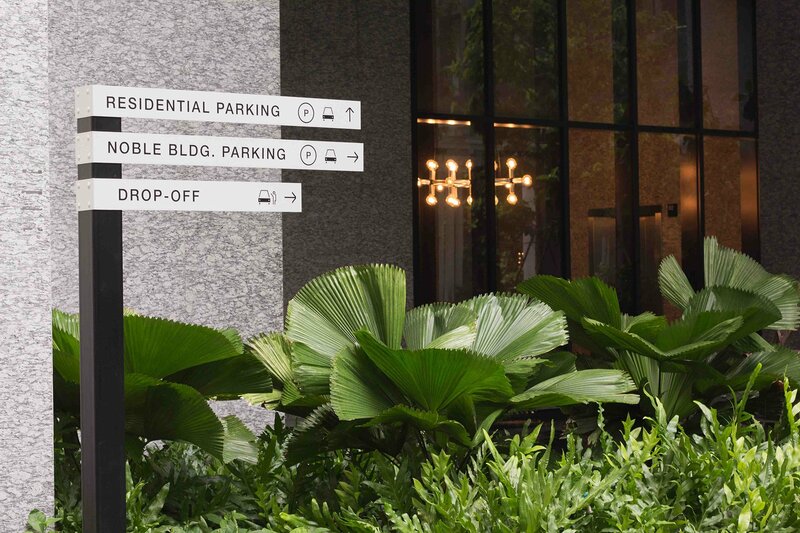 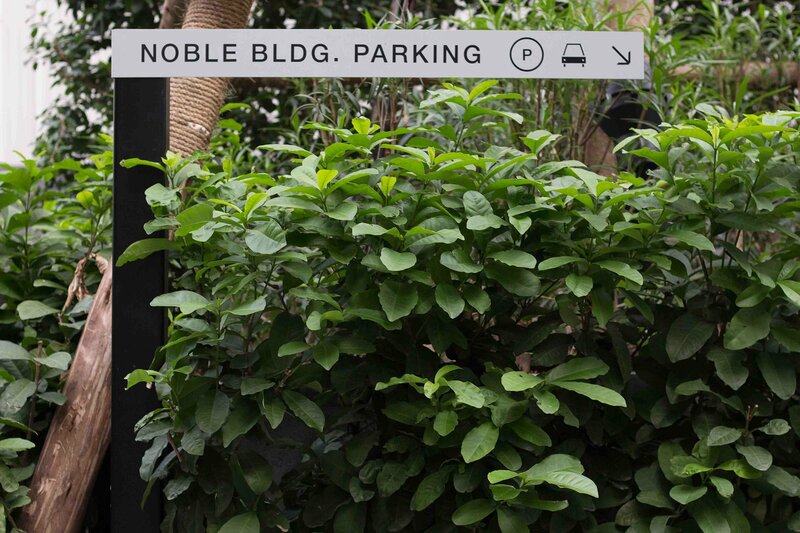 Farmgroup has designed a signage system that is a spin off from Noble Ploenchit’s identity itself. 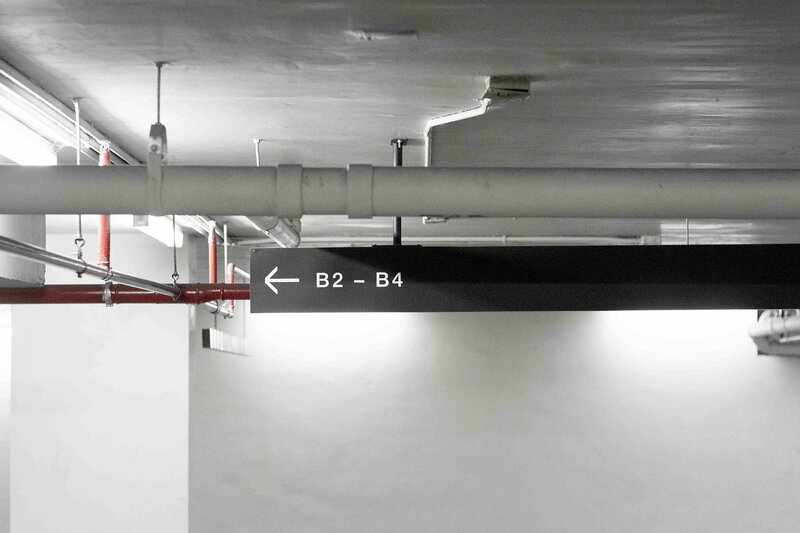 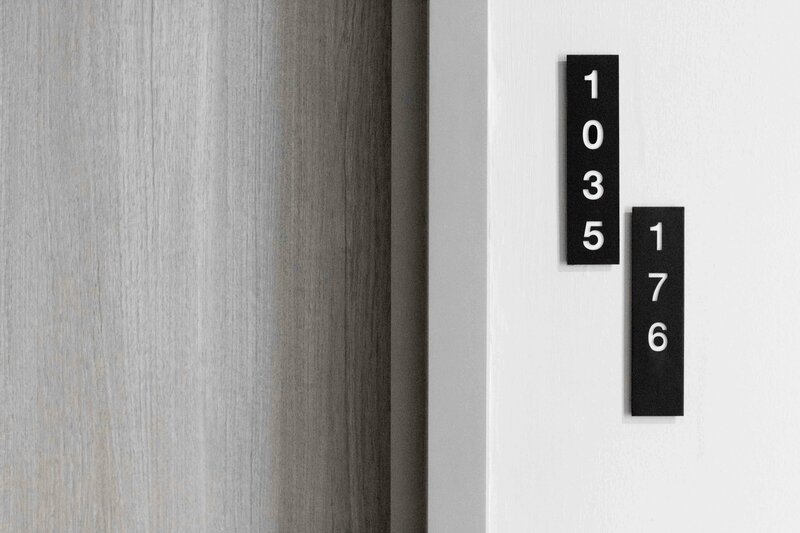 The length of each sign suggests the distance to the destination engraved on the sign from that particular spot. 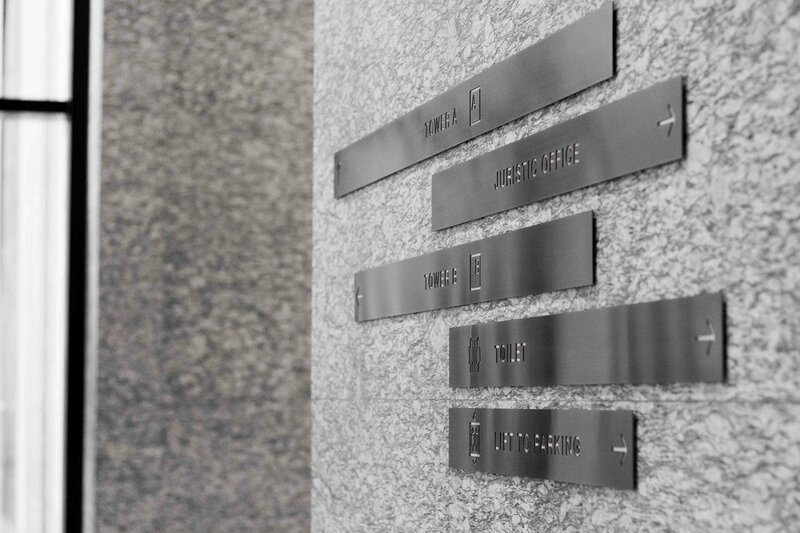 Little detail such as engraving on stainless steel sheet backed with matt acrylic sheet in a simple rectangular shape expresses the idea of doing so much more with less into the environment.